The world's most popular silver series still carries surprises for the savvy collector, and the 1998 $1 Silver Eagle is "proof" of that. By purchasing your coin through GovMint.com, you won't have to settle for the high-volume Brilliant Uncirculated version of this Silver Eagle, but can enjoy a lustrous, low-mintage proof, graded PR69 by the Professional Coin Grading Service (PGCS). Better still, the packaging of your proof coin is hand-signed by former Chief Engraver of the U.S. Mint, John Mercanti, a distinction which will make this piece a treasured part of any serious collection. 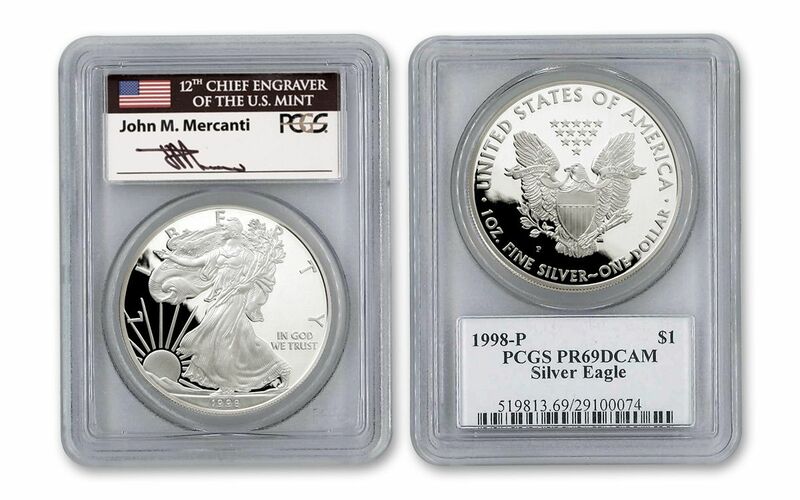 The designation of PR69 Deep Cameo Proof indicates that your 1998 Silver Eagle will arrive virtually "as struck" from its minting at the Philadelphia Mint, home to the Silver Eagle series since 1992. A Deep Cameo designation ensures that your coin features exceptionally high contrast, from its striking mirrored background to its deeply frosted images. 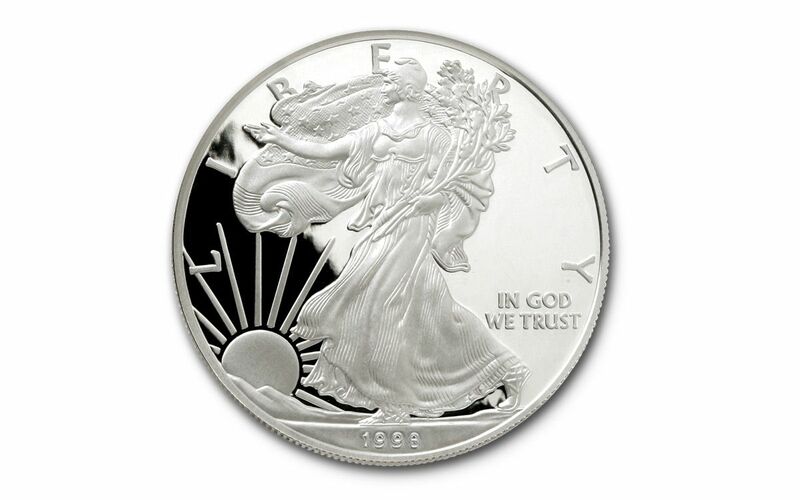 Adolph A. Weinman's "Walking Liberty" image is the inspiration for the obverse design of the 1998 Silver Eagle—perhaps one of most beloved designs of any U.S. coin. The image features Lady Liberty striding across a sun-swept plain. One of her arms extends forward, and she holds olive branches in her other arm. The obverse also includes "1987," "LIBERTY," and "IN GOD WE TRUST." 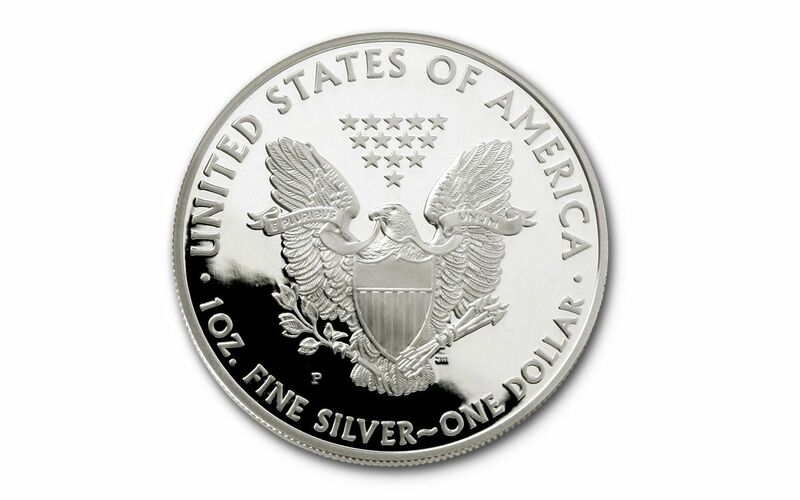 The John Mercanti-designed reverse of the Silver Eagle portrays an eagle rising behind a shield. In its talons, the eagle grasps an olive branch and multiple arrows, an image that echoes the Great Seal of the United States. Above the eagle rise thirteen stars, and the reverse's inscription includes "UNITED STATES OF AMERICA," "1 OZ. 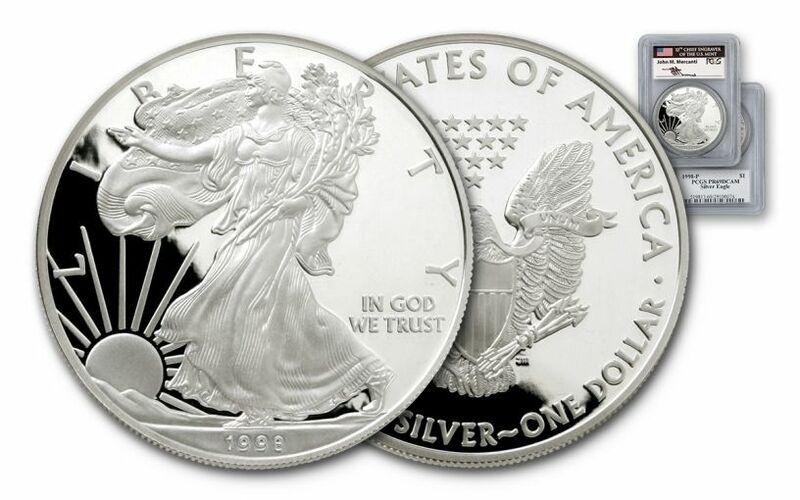 FINE SILVER—ONE DOLLAR," and "E PLURIBUS UNUM." Your $1 1998 Silver Eagle coin contains 1 oz. of .999 silver, and is backed by the U.S. government. While Brilliant Uncirculated versions of this coin are more widely available, these hand-signed proofs can be yours only through GovMint.com, and are available only in limited quantities. Act quickly to make one part of your collection!